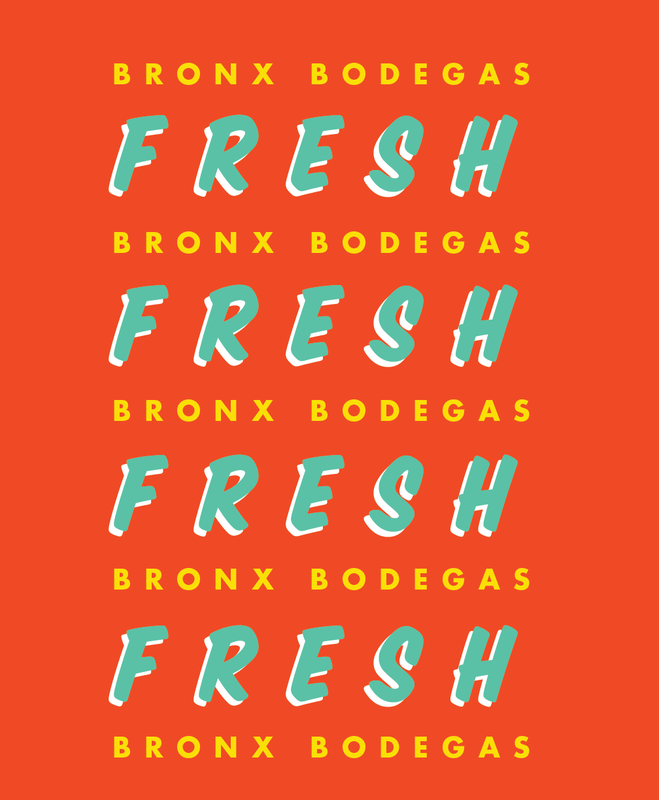 The Bronx Bodega Partners Workgroup will be hosting a kick-off event for its “Don’t Stress Eat Fresh” marketing campaign on Wednesday, November 15 from 10:00 AM to 11:00 AM at BronxWorks (1130 Grand Concourse, 2nd Floor Lounge). Developed over the past year, the campaign aims to increase awareness of the healthy food options available at several Bronx bodegas. The partners in the Workgroup includes: the Institute for Family Health/Bronx Health REACH, Montefiore’s Office of Community & Population Health, American Dairy Association North East, the Bodega Association, Bronx Community Health Network, BronxWorks, CUNY Urban Food Policy Institute, Hispanic Information Telecommunications Network Inc., NYC Department of Health and Mental Hygiene – Bronx Health Action Center, and WellCare Health Plans, Inc.
36 Bronx bodegas are now on track to sell healthier food including: fresh fruits and vegetables, healthy sandwiches, low-fat dairy products, water and low sodium products. As a result, thousands of Bronx residents now have greater access to healthy foods in their neighborhood bodegas, an important means of improving their health. This represents a significant step in improving the overall health of the borough which is currently ranked 62 out of 62 in health outcomes in all New York State according to the annual Robert Wood Johnson Foundation County Health Ranking Report. In addition to announcing the kick off of the Bronx bodega marketing campaign, the event will offer an overview of the healthy bodega initiatives being implemented across the borough, their impact, the policy priorities of the Workgroup and the partnerships with elected officials addressing those priorities. Attendees will be able to meet store owners pioneering this effort and the community leaders and residents supporting them. Also attending will be representatives from Goya Foods, a company that has taken an interest in working with Bronx bodegas to stock their healthy products; Spring Bank, a Bronx based community-development financial institution collaborating with bodegeuros on a slate of new small business loans that facilitate much needed improvements to their stores; Jetro Cash & Carry, a wholesale distributor serving many Bronx bodega owners; and WellCare Health Plans, Inc., a leader in providing affordable local health insurance and a supporter of this bodega marketing campaign. Support for the Healthy Bodega program is provided by funding from a four year REACH (Racial and Ethnic Approaches to Community Health) grant from the U.S. Centers for Disease Control and Prevention (CDC), Newman’s Own Foundation and the New York State Department of Health’s Creating Healthy Schools and Communities grant. “BronxWorks is thrilled to host the Healthy Bronx Bodega Campaign Launch as we continue to work together with our community partners to improve health outcomes in our beloved borough. We truly appreciate everyone’s commitment to this important project,” stated BronxWorks Assistant Executive Director John Weed.